A few weeks ago, I asked for advice on repairing this vintage quilt top. I decided just to stitch up the holes, then finish the quilting and binding as normal. Some of the fabric was really disintegrated, so I filled it in with interfacing. I chose a blue gingham for the binding, and a solid navy for the backing 🙂 I just love navy!! Some of the colors on this aren’t my favorite, but it looks like many of the fabrics are from shirts and leftover clothing. My MIL bought the quilt at an auction, so we don’t know the exact history. I’m just glad to have it finished and ready for a bed! 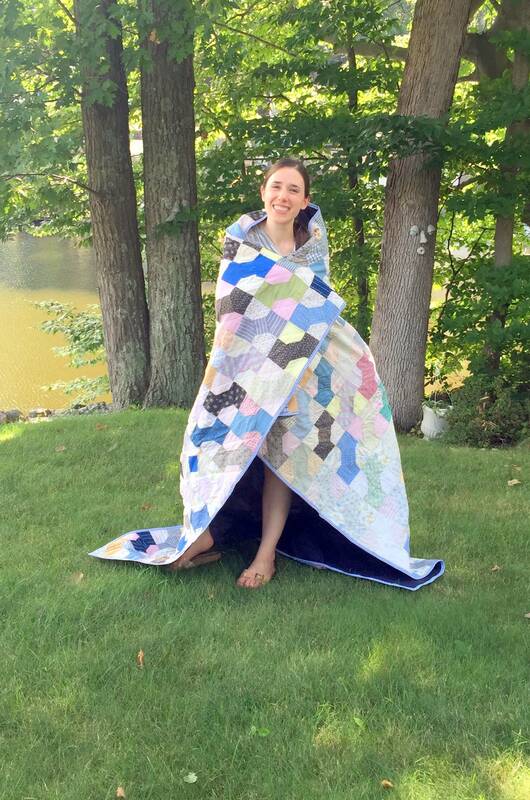 BTW, it was way too hot out to be wrapped up in a quilt! Only good for a picnic in this heatwave! 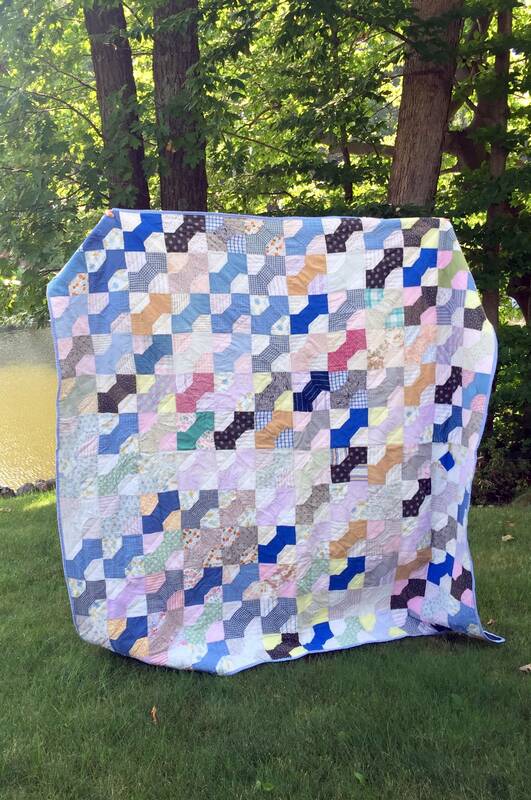 Dimensions are 72×72 with cotton batting, backing, and binding but a mixed content quilt top. 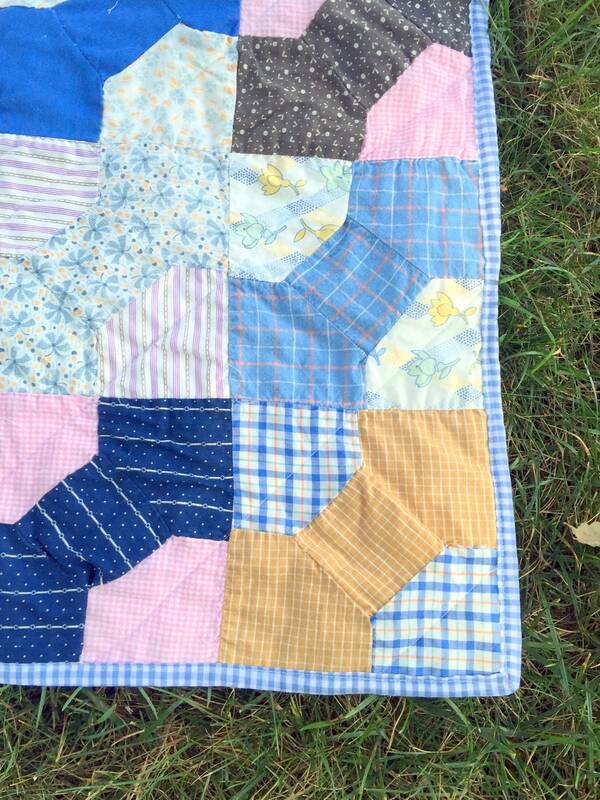 The blue gingham is perfect as binding for the old quilt top. What a find for your MIL and then to give it to you. 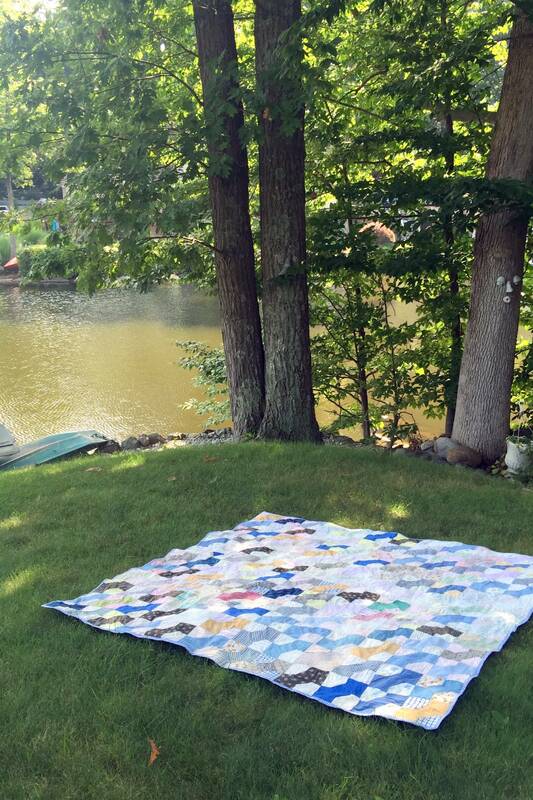 Well done on repairing and finishing someone’s lovingly created work and turning it into a beautiful quilt.